When my commuter plane landed in Merced recently, an unmistakeable smell immediately hit my senses: a mixture of manure and agricultural chemicals. As an Angeleno with many clients in San Francisco, I’ve done my fair share of driving through the Central Valley, and am all too familiar with how the air distinctly changes once you get beyond the Grapevine Pass. This time, I was getting a close aerial view of the valley while flying to keynote the inaugural Woman Entrepreneur conference at the University of California, Merced. Through the course of the day, I met inspiring and aspiring women entrepreneurs with moving personal stories — all of which illustrated the region’s inherent, if somewhat tentative, entrepreneurial spirit. A propos, my keynote encouraged women to reclaim, redefine and redesign entrepreneurship on their own terms to drive sustainability. For an agricultural powerhouse like the Central Valley, sustainability and entrepreneurial innovation couldn’t be more critical. As I left UC Merced that afternoon, I again surveyed the landscape around me: the heavy air and the clear signs of industrial agriculture’s legacy. But I also thought about the region’s promise; how so many resources and systems had come together to transform it into the cornucopia of the world. I found myself dreaming of the day when the Central Valley could be transformed again, into a model regenerative economy. I believe we can get there. But to do so, we need to look beyond industrial agriculture and the current models of entrepreneurship. For decades now, entrepreneurship has revolved around the model popularized in hubs and cultures dominated by Silicon Valley. As recent headlines at Uber and Google have demonstrated, this system doesn’t work for the majority of women, minorities or other underserved populations. The current system breeds an obsession with measuring financial results exclusively, which often leads to actions that aren’t sustainable for our environment or our communities. It creates an experience where entrepreneurs are filled with stress and anxiety while trying to meet investors’ outsized expectations. It also promotes an unequal distribution of wealth and opportunity, and discounts the many forms of entrepreneurship that flourish in communities across America. But there are also bright spots. With the rise of B Corporations and impact investing, we’re seeing more entrepreneurs measure success not only by revenue, but also by impact. Investment firms including Next Wave Ventures, based in Colorado, are proving that you can support sustainable businesses without compromising on your financial return. VCs such as Ross Baird, who has a new book titled The Innovation Blind Spot, are also contributing to the bigger discussion around reinventing and adapting entrepreneurship to local environments. Communities in the Central Valley, which depend on the environment to survive and produce a significant portion of the food we eat, are in a prime position to harness the power of the impact movement to drive sustainability. According to the 2014 U.S. Census of Agriculture, California is the world’s top agricultural producer. Nine of the country’s top 10 agricultural producing counties are in California — and most of these are located in the Central Valley. In the 2012 USDA Census of Agriculture, Fresno County again led the nation in ag sales with nearly $5 billion. Given these numbers, it’s no wonder that the Central Valley has historically been viewed as an infinitely abundant source of agricultural products. Significantly, this region is also home to 4 cities with the highest air pollution in the country. The industrial agriculture that has taken root here is miraculous in so many ways. The number of complex systems and resources that come together to produce the food we eat is one of the clear successes of the industrial revolution. However, that same demonstration of human ingenuity brought many unintended consequences. It’s our responsibility to devise solutions for the new regenerative age — ones that acknowledge limits of growth and honor the magic of ecosystemic interdependence. Time is of the essence. Many agricultural chemicals have been traced to cancer. That means that the people working in the fields — laboring day after day to help produce the foods that fill our grocery stores — have to constantly breathe in this harmful air. Nevermind that we are, in turn, metabolizing these same chemicals by eating this food. This is just one way that the industrial agriculture model tends to benefit those fortunate enough to be calling the shots. The big ag farms tend to concentrate resources and wealth, while lots of workers struggle to make ends meet. Needless to say, low wages, long days and harmful chemicals are not features of a sustainable model. Also problematic is the current emphasis on meat and animal products, which make up a significant portion of the region’s GDP. (In 2015, chicken, eggs and cattle were among the Top 5 Commodities in Merced County). Although we won’t get to a meat-free society overnight, works like What the Health and Cowspiracy: The Sustainability Secret — and mountains of academic research — show that the production of meat by most current standards causes destruction to our health and our environment. Despite these challenges, the Central Valley also has a long history of entrepreneurship. The fruits of these labors nourish our country and, when done sustainably, deeply honor the environment. 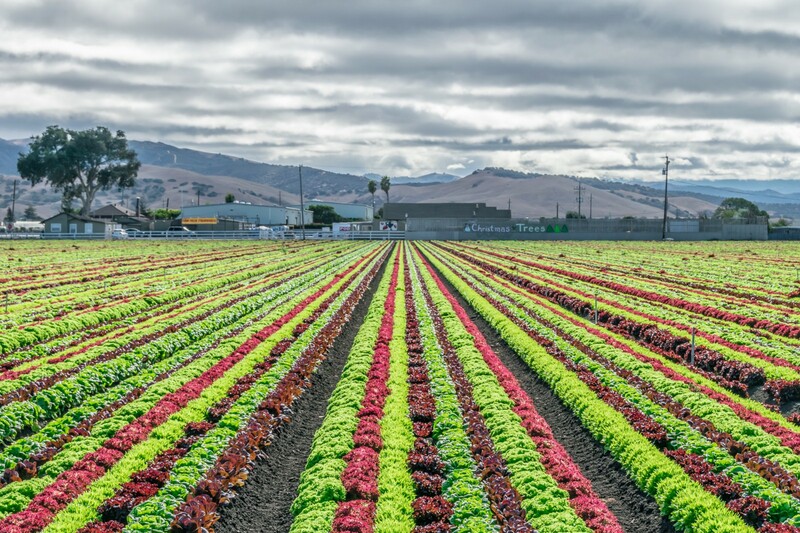 By tapping into this legacy, the Central Valley can transform into a 21st Century regenerative, innovative economy that builds on this core strength of agriculture while diversifying beyond ag and ag tech, as any healthy ecosystem must. One thing that struck me during the conference at UC Merced was the sheer spirit and energy of its students. This brand-new university, the smallest in the UC system, has harnessed an immense offering of opportunity for students who wouldn’t otherwise have it. The school also built a venture lab, essentially in the middle of a “corn field.” That is exciting, impressive and inspiring — and an example of exactly what we need to keep doing to drive change. By establishing innovation hubs that focus on sustainability, the region can build upon its agricultural history and find new ways to leverage its resources. This could be one key to ushering in a new era of agriculture and also diversifying its economy. At first read, a vision like this can seem fantastical at best, and at very least, impossible. However, as someone with an entrepreneurial mindset, I can’t help but observe this opportunity for innovation and transformation, which could serve as a model for other parts of our nation that yearn for economic reinvention. In that vein, I propose this as a powerful first step: the launch of a coalition tasked with developing a 20-year sustainability plan for the Central Valley. This 20-year plan should support not only the regenerative practices outlined above, but also entrepreneurship education and hubs, and a wide range of jobs — in essence, reclaiming entrepreneurship to reflect the region’s values and community. This coalition should be populated with innovators who are already performing meaningful work in this area. John Fullerton, founder of The Capital Institute; Hunter Lovins of The Natural Capital Institute; Paul Hawken, whose latest work Drawdown offers an abundance of ideas to implement; and Kish Rajan from CalInnovates immediately come to mind. (Full disclosure: I sit on the Advisory Board for CalInnovates.) It will require visionary private and public sector partners like them to bring this idea to fruition. I dream of the day when the Central Valley is a completely regenerative, diversified and equitable economy. By reclaiming and redefining entrepreneurship, the region can adopt a model that strengthens its economy, enhances its rich variety of natural resources and drives sustainability for its community. Does this vision resonate with you? Are you interested in collaborating to move this forward? Connect with me on LinkedIn or through my website so that we can continue the conversation. I would also like to thank Lenore Estrada from Three Babes Bakery for engaging in such a meaningful discussion on entrepreneurship with me at UC Merced’s The Woman Entrepreneur Conference.